Kentucky Twist Creations & Services, LLC takes pride in offering a Comprehensive and Eco-friendly service. We are dedicated to serving the needs of our customers keeping the environment in which we live a greener place. Kentucky Twist is dedicated to innovative equipment and design that helps lower our carbon footprint and creates a more sustainable environment in the Bluegrass. 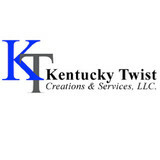 Kentucky Twist Creations & Services, LLC was founded in 2013 and is owned by Mike Rice. Mike has eighteen years in the industry and ventured out on his own to give exceptional service. Currently, Mike is pursuing a Plant and Soil Science Degree at the University of Kentucky and has a passion and love for the Green Industry. Kentucky Twist Creations & Services, LLC is veteran and family owned. 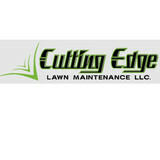 Cutting Edge Lawn Maintenance LLC. We mow lawns, trim grass, weed, clean fence line, trim bushes, cut hedges,clean yard and respect your property. Murphy's Mowing provides year-round lawn services including: mowing, trimming, limb removal, pressure washing, spring/fall cleanup, and fertilizing. High quality landscape maintenance increases both the value and beauty of your home or business for years to come. We maintain effective, functional landscapes and irrigation systems. Creating a harmony between your architecture and the nature surrounding your home or business is what we're all about. With your home or business in our hands, you can rest assured that the most efficient, effective maintenance will be employed - guaranteeing years of beauty and enjoyment. "BIG or small, we cut it all!" Locally owned and operated by Brendan Tucker. With years of experience, B's Mowing & more will ensure all of your lawn maintanance needs are taken care of properly! Local businessman with over 9 years of experience. Experience with personal and business properties. Founded on hard work, integrity, and dependability. Sharp Lawn Inc. Address: 800A Floyd Dr. Lexington KY 40505-3616 Phone: 859-253-6688 Website: <a rel="nofollow" target="_blank" href="http://www.sharplawnky.net">http://www.sharplawnky.net</a> "For more than 35 years the professionals from Sharp Lawn in Lexington, KY, have been providing residential and commercial clients with outstanding lawn care and landscaping design solutions delivered with a personal touch. Whether you just need your grass cut on a regular basis or want to redo the whole backyard, their landscaping experts will be happy to accommodate you. Sharp Lawn has become one of the community’s most sought-after lawn companies because of their unwavering commitment to customer care. No matter what type of services you require, the staff from this family-owned and -operated landscaping company will always arrive promptly, with all the tools needed to perform a first-rate job. The uniformed landscaping technicians from Sharp Lawn are licensed, certified, and highly-skilled, ensuring your yard receives only the best care available. They know that investing in landscape design services are an investment, so they offer free estimates to all of their potential clients. Sharp Lawn is proud to offer a wide range of residential lawn care solutions, including seasonal yard cleanup, shrub and plant maintenance services, mulching, as well as yard enhancement and turf maintenance for those who want their grass to look its best year-round. The landscaping professionals from Sharp Lawn are also trained to provide custom landscape design and installation services, everything from creating hardscape structures to installing outdoor lighting. If you’ve got an idea for your yard, their landscape design team would love to help you bring your vision to life. As a full-service lawn care company, Sharp Lawn also has the expertise to provide personalized services to farms and a wide range of commercial enterprises. For those in need of a reliable lawn care company that also offers a wide range of affordable landscaping services, contact the professionals from Sharp Lawn today at (859) 253-6688. You can also visit them online for a complete list of services." Our mission is to provide complete lawn care and landscape services to our customers and to create the ideal landscape of their dreams. The quality of our services will always be above that of the competition and will be reinforced by well-trained employees. We are committed to developing a satisfying, long-term relationship with each and every customer. 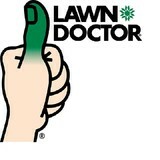 We will strive to be known as the best lawn care and landscaping company in North Central Kentucky. Since the young age of 8, James Rose has known he wanted to own his own lawn care business. James started the business in 2002 and has worked to grow his skills. James grew the business at a relatively small size until 2013 when he changed the company name to Perfect LawnCare, LLC and converted the company into a Limited Liability Company. James's 11 years of experience in the industry have led him to understand exactly what the customer wants and to develop a unique ability to fulfill these desires. Do you get yard envy when you see your Lexington neighbors’ lush garden, and bemoan your lack of a green thumb? If you want a bountiful yard without doing a bounty of yard work, hire a gardener in Lexington, KY! From lawn maintenance to plant cultivation to weeding to general landscaping, Lexington, KY gardeners have the expertise and experience to create an abundant garden for you that will be the cause of neighborhood yard envy! In addition to the maintenance side of gardening, Lexington, KY gardeners can help you with garden design and choosing specific plants and grass types for your climate and area. Find a Lexington, KY gardener on Houzz. Narrow your search in the Professionals section of the website to Lexington, KY gardeners. 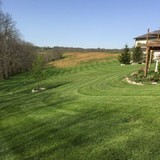 You can also look through Lexington, KY photos to find examples of yards that you like, then contact the Kentucky contractor who worked on them.